You must be a member of the New York Adventure Group to attend this activity. Would you like to join this group? Ready for an epic winter adventure?! 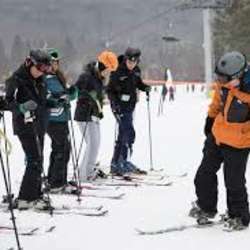 Join us for a full day of skiing or snowboarding at Hunter Mountain. The terrain is for everyone, whether you are a complete novice or a total pro. Options without Rental, Lift Ticket & Hot Drink also available.